Welcome to Part 5 of the Fundraising for Large Campaigns blog series. In this series we will share best practices from your peers who have been successful with large fundraising campaigns. If you’re new to the series, you may want to start with Part 1: The Planning Phase. Phew…your large campaign has finally reached all of its fundraising goals. It’s been a long slog, but it is finally time to relax, right? Well…not quite. You’re actually in the fifth phase of your large fundraiser: Wrapping Things Up. This part of the large fundraiser is not about taking care of your immediate fundraising needs, but rather taking care of both the current needs of your supporters as well as planting the seeds for future fundraiser success. Fortunately, there are a few actions you can take to address both of these concerns. It is critically important that you let your donors know that you reached your goal. Your most invested (and often generous) donors have been following your success, and if you stop as soon as you reach your goal, you are leaving them in suspense. (It’s basically the donor equivalent of your favorite tv show being unceremoniously canceled after a cliffhanger season finale!) Communicate with them to tell them you’ve reached your goal, and then give them appropriate updates. For example, if you’ve raised money for field turf, give them an update as soon as you know when it will be installed and then after it is installed send some before and after photos. Remember to thank all of your donors. 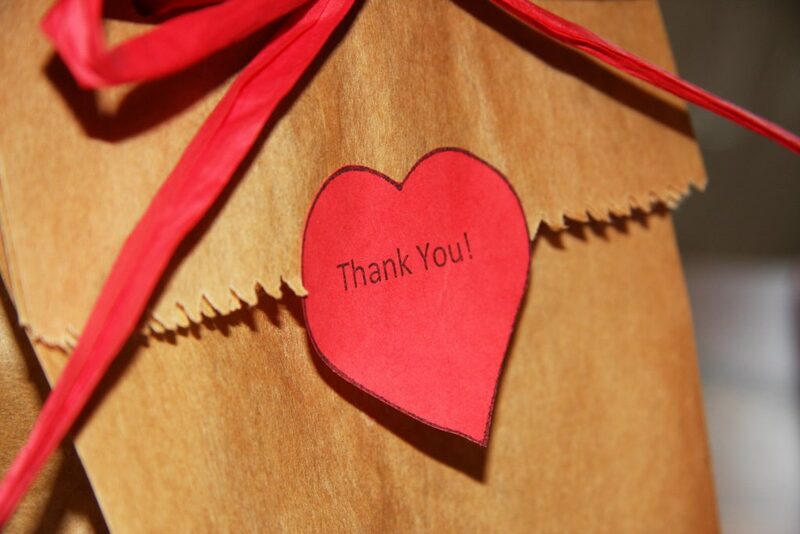 Although it is simple say “thanks”, many donors complaining about not being thanked. There are many competing causes for donor dollars, and you want to engender a positive associate with donating to your district. Plus, it is just good manners to thank someone for their gift. A thank you note can also be a convenient time to send a donation receipt which will save you (or your business office) time when tax season draws near. Also be sure to give adequate recognition to large donors, especially businesses. One of the most common reasons we’ve heard from businesses that they are reluctant to make donations is lack of recognition. Although businesses are often happy to support your school’s fundraiser, it is important to them that your district’s parents see that they are involved and responsible members of the local business community. Make sure they know about recognition they have received as you’ve promoted your fundraiser and any recognition that occured afterward, such as a name on a donor wall. You may also consider taking it to the next level and printing a nice flyer thanking them for their donation, or a letter from students who have benefitted from the project. It should be something attractive to display in the place of business so patrons can take note of the business’ support. Don’t forget to collect all of your fundraiser materials and store them somewhere secure, such as in Google Drive or other Cloud storage. As you well know by now, a lot of work went into developing the materials. And as you recall from the Part 1: The Planning Phase one of the first tasks you do when starting a fundraiser is reviewing material from previous fundraisers. Be sure to make this easy to access for your future self as well as easy to disseminate to your colleagues who may be running your district’s next major fundraiser. Okay, NOW you’re done. Go relax!